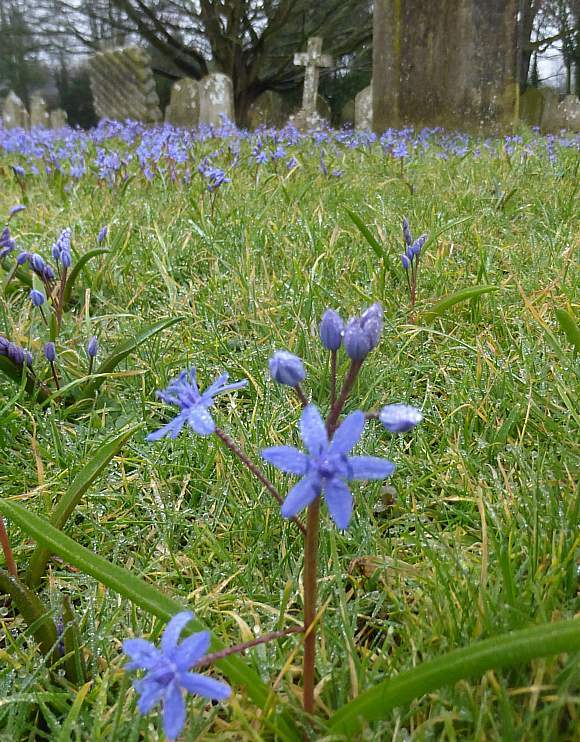 Not quite so Alpine as its name might suggest, likes growing in churchyards and on banks (where it spreads if planted). Flowers blue on long petioles (flower stalks). A very early flowerer, February to April. Tepals in a symmetrical planar array, fully outstretched when open. Tepals between 5-10mm long. The leaves number but two, hence 'bifolia'. 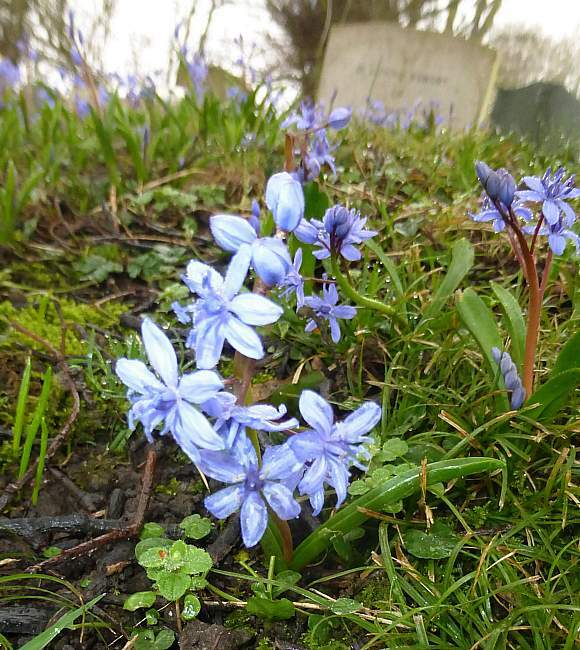 The leaves are very similar to those of Siberian Squill (Scilla siberica), gradually widening before tapering to a blunt and hooded tip. 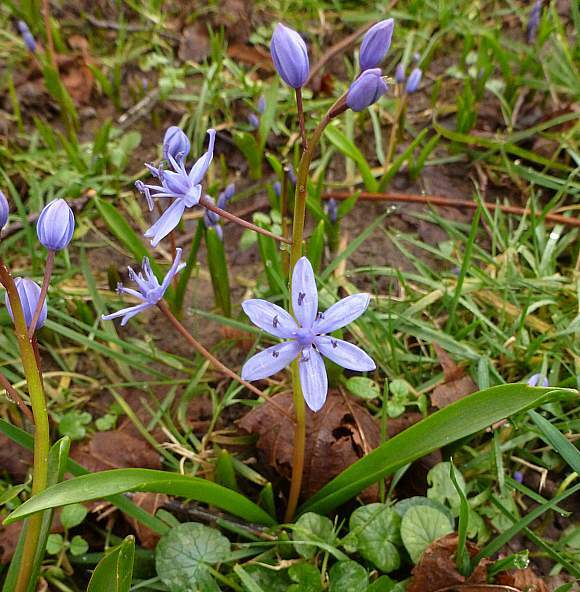 The plant grows yo a similar height as that too: up to 20cm, but the flowers number more than 1-2 and they do not face the ground. 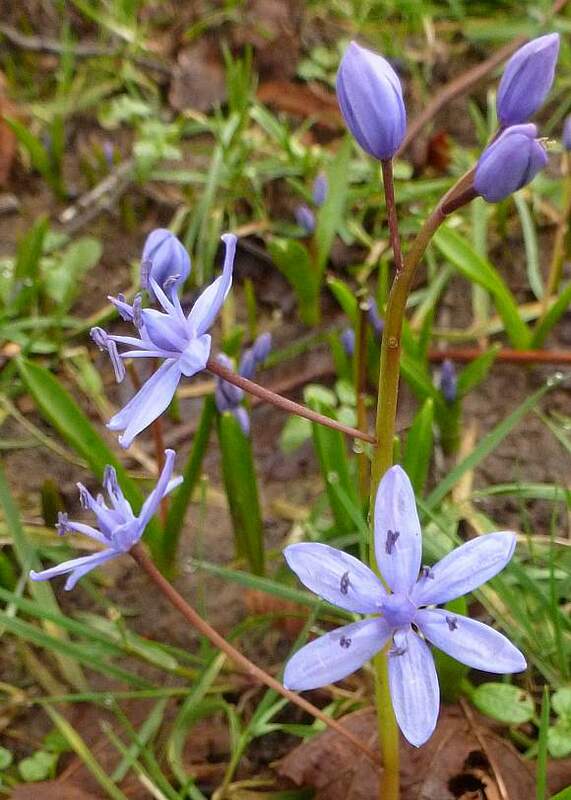 The petioles are also much longer than those on Siberian Squill (Scilla siberica). Bracts beneath petioles either absent altogether or minute. Tepals joined just at their bases, if at all. The ovary is concolorous with the tepals (pale-blue), as are the filaments but the anthers are a darker shade (indigo) On this specimen a flower stalk has fallen off (it would have been the 4th one up)..
Like all squills, they are poisonous. For differences between the various Squills see the captions beneath the photos.